Thread: NEW: Ruth Mastenbroek - Firedance! "In Ruth's words: Firedance is a story of celebration: I wanted to conjure the buzz of big celebrations as well as those wonderful small moments of contentment that remind mehow precious life is. It is inspired by rejoicing in each moment of contentment in life, from smelling a rose in the garden to the explosion of fireworks. " - a note from the brand. Firedance was launched in 2017. The nose behind this fragrance is Ruth Mastenbroek. 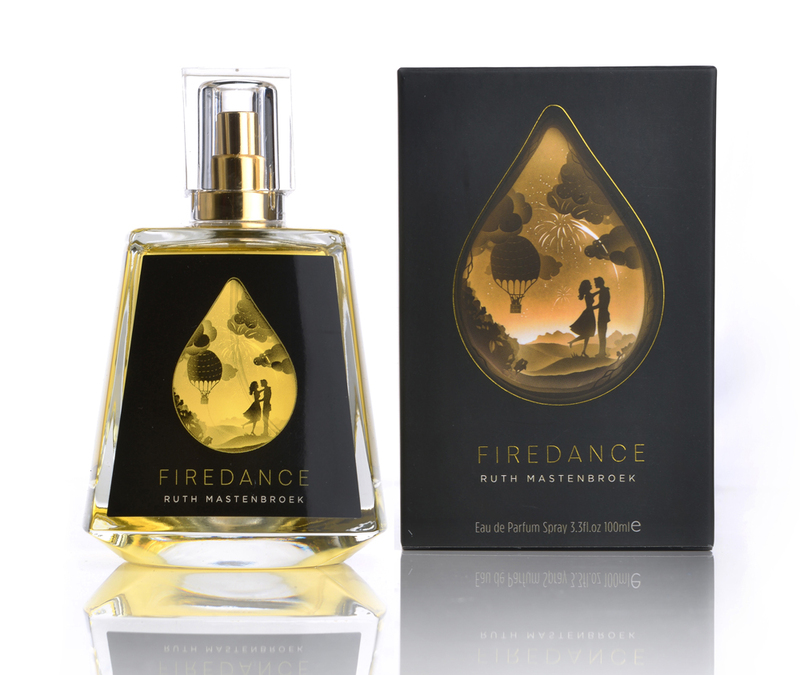 Re: NEW: Ruth Mastenbroek - Firedance! I have a sample arriving in todays mail. I'll be trying it out when it arrives. There's a review from The Candy Perfume Boy that inspired me to order a sample. Last edited by thebeck; 2nd November 2017 at 01:44 PM. Sounds pretty good. Let us know what you think upon sampling. I'm happy to report I had a nice day with Firedance. Dusty rose fans should put this high on their must sample list. Firedance starts off with a nice rose brightened with apple and lemon. A very short opening soon shifts to a dusty rose front and center with a jammy rose sitting in the back row behind it. As the dusty rose with a wee bit of smoke becomes very prominent. The leather starts to come up. As the dusty rose starts to fade the leather becomes the star. It has a feel of sophistication and wears close to the skin. Perfect for office environments or weddings when you don't want knock people down with your perfume. Firedance has decent longevity. Guests at the wedding can get a whiff of you if they hug you. Otherwise I think you'll remain unnoticed. Sometimes you need a perfume to be well behaved, and Firedance won't let you down. A word about the leather. This leather is a very soft, suede, cozy leather. No gasoline a la Knize 10 style. Last edited by thebeck; 3rd November 2017 at 03:29 PM.